Everyone needs to conserve water, but that is not an excuse to forget hygiene and grooming. 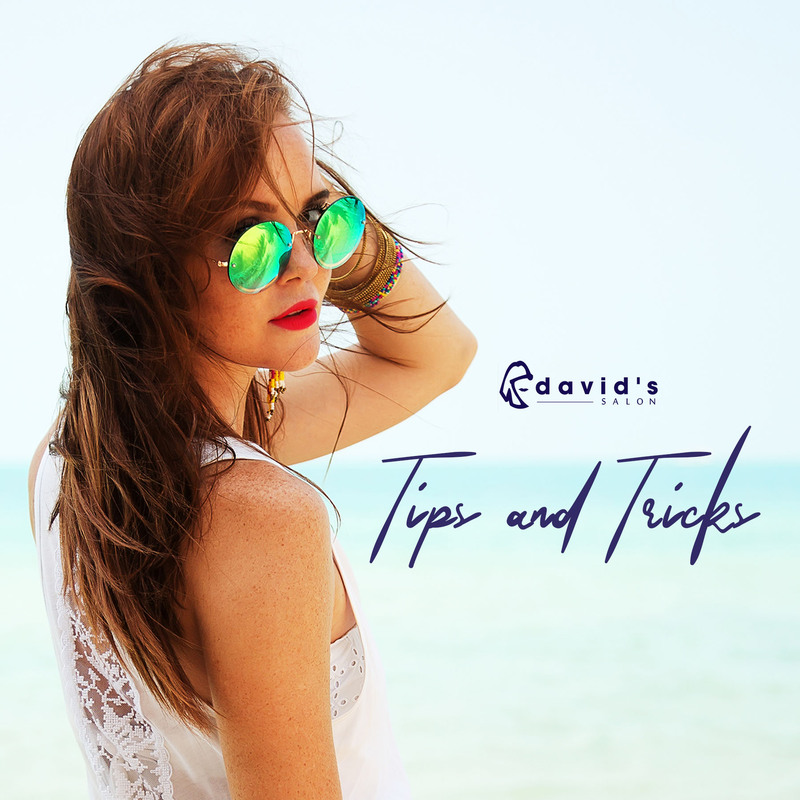 David’s Salon Academy shares professional tips, with Creative Director Laura Charlton and Training Manager Arnold Sevillena revealing how to get great hair, and save water while doing it! The correct cut will not only look great, but will also complement and work with your hair type, making it more manageable. Now is also the best time to chop off those locks! Sevillena says, “try short hair, it’s more wash and wear!” It’s as good a season as any to try a trendy short ‘do. Charlton shares, “the problem is, people will think, I’m just going to shampoo today, just to clean my hair, because I won’t wash my hair every day. But that’s wrong. It should be shampoo and conditioner if you’re not going to wash for a long time,” Charlton shares. “However, use conditioner properly. Don’t put the conditioner at your scalp – put it 2 inches away from your roots to prevent any extra oils going onto the scalp. Just apply it to the midlengths and ends only,” she adds. Charlton suggests going through a “style system”. “A girl can go through 3-4 days without washing her hair if she’s changing her style each day. Go through the system of straight, to texture, to upstyle. Start with a wash and blowdry on day 1. The next day, you can put a wave or curl on your hair. The following day, do a low ponytail with a quiff, then after that do a high bun.” “If your hair is long, always carry a good ponytail or clip, and find a good updo hairstyle that suits you. Messy buns are on-trend, and it’s less effort too,” Sevillena adds. “Keep your hands off your hair”, Charlton says, “the natural oils that are in your hands will transfer and can cause an excess of oil.” No hair flipping or hair touching while looking at your crush, then. A small price to pay for clean hair! You may be tempted to use more products to compensate for the lack of washing, but this should not be the case. Some products might actually trigger oil production and attract dust. Charlton says, “keep your products at a minimum to avoid greasy hair.” Sevillena adds, “if you need product, you may use the extra product towards the end of the week.” Pro tip: Read labels, and go natural. Sevillena advises to “use water-based products.” Charlton says,”you don’t need any masks or oil moisturizers. Use more cleaners, and use sulfate-free and paraben-free shampoo. “The more natural the products, the better,” Sevillena remarks.